7 size of one word. 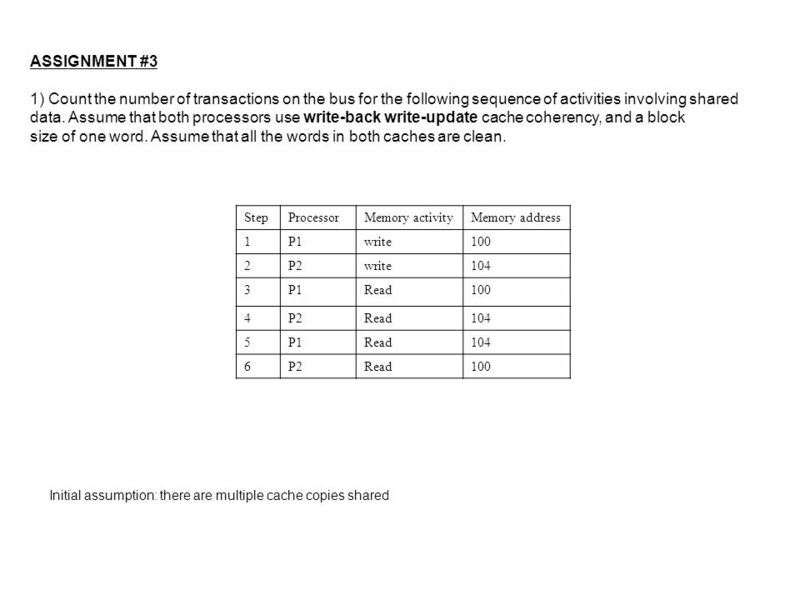 Assume that all the words in both caches are clean. 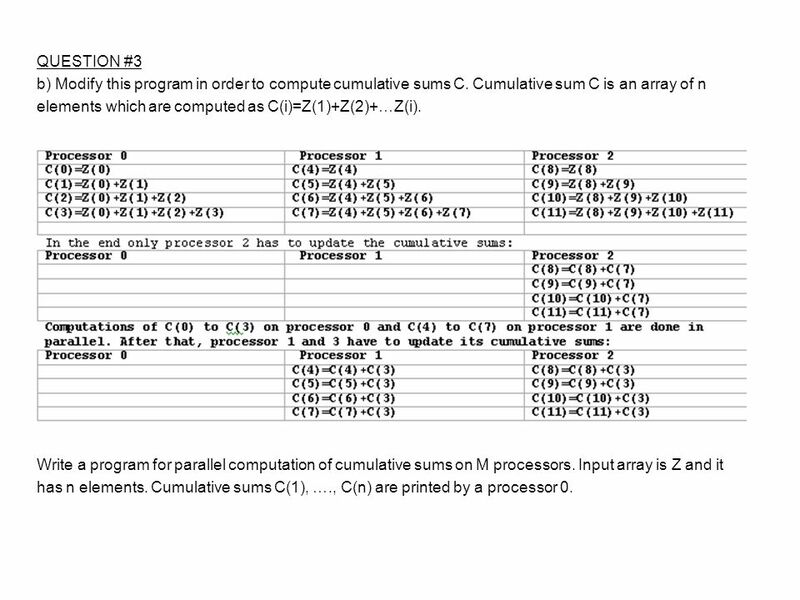 16 QUESTION #3 b) Modify this program in order to compute cumulative sums C. Cumulative sum C is an array of n elements which are computed as C(i)=Z(1)+Z(2)+…Z(i). 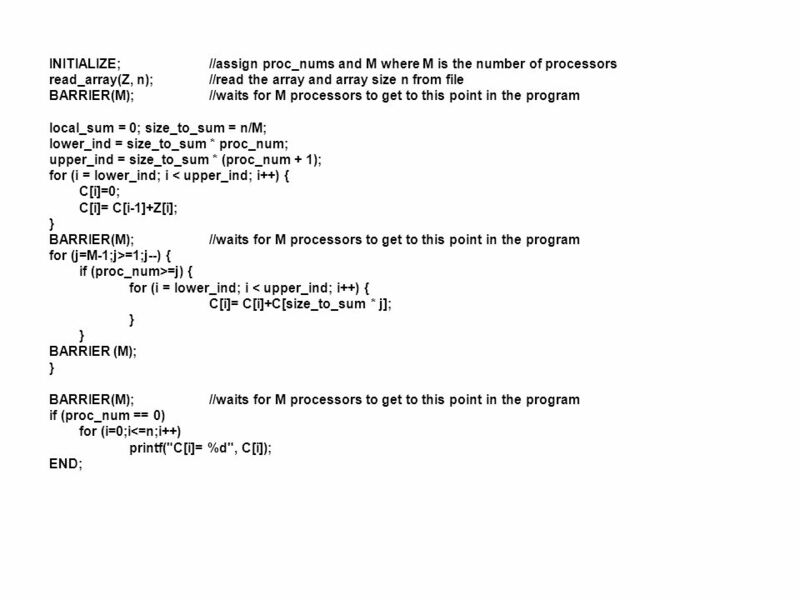 Write a program for parallel computation of cumulative sums on M processors. 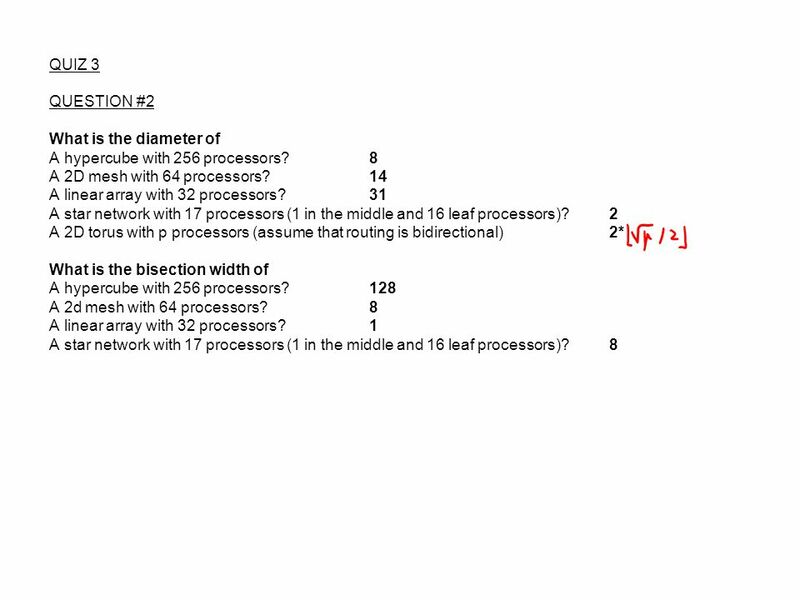 Input array is Z and it has n elements. 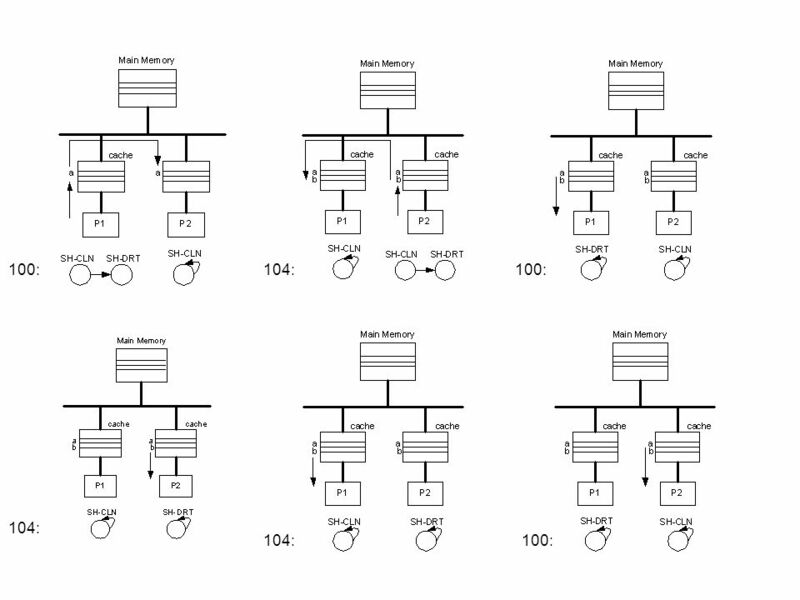 Cumulative sums C(1), …., C(n) are printed by a processor 0. 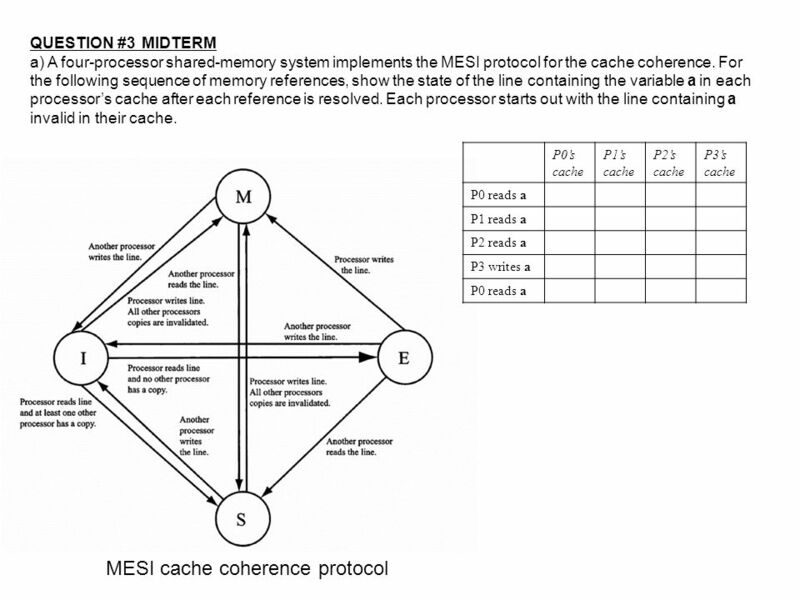 Download ppt "MESI cache coherence protocol"
Cache Coherence “Can we do a better job of supporting cache coherence?” Ross Daly Chan Kim. 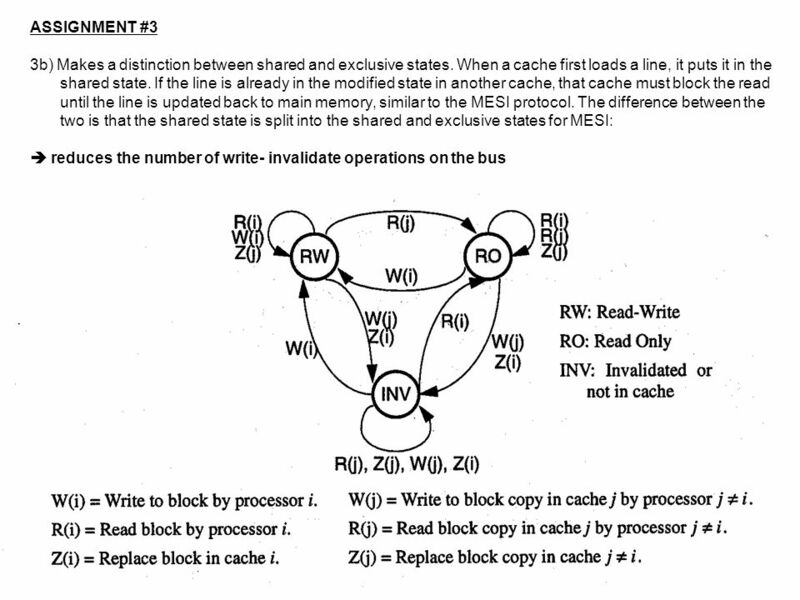 4/16/2013 CS152, Spring 2013 CS 152 Computer Architecture and Engineering Lecture 19: Directory-Based Cache Protocols Krste Asanovic Electrical Engineering. 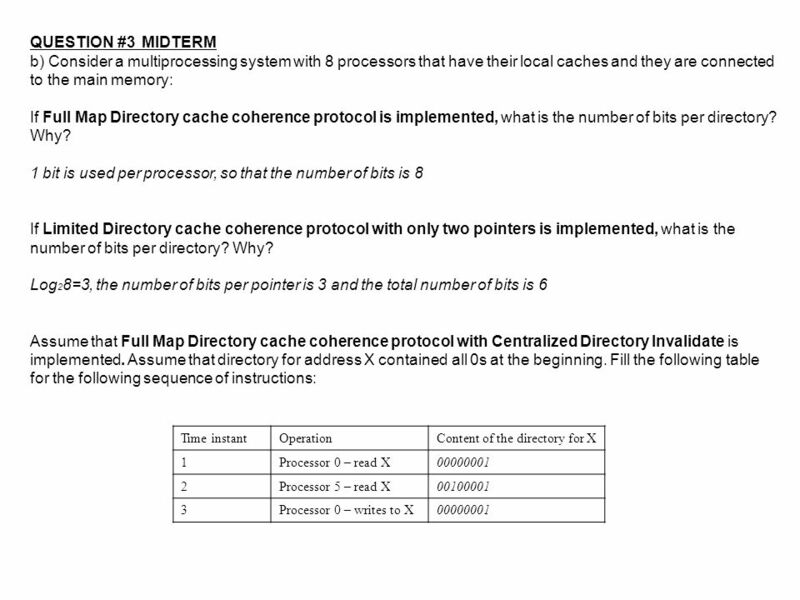 1 Lecture 4: Directory Protocols Topics: directory-based cache coherence implementations. 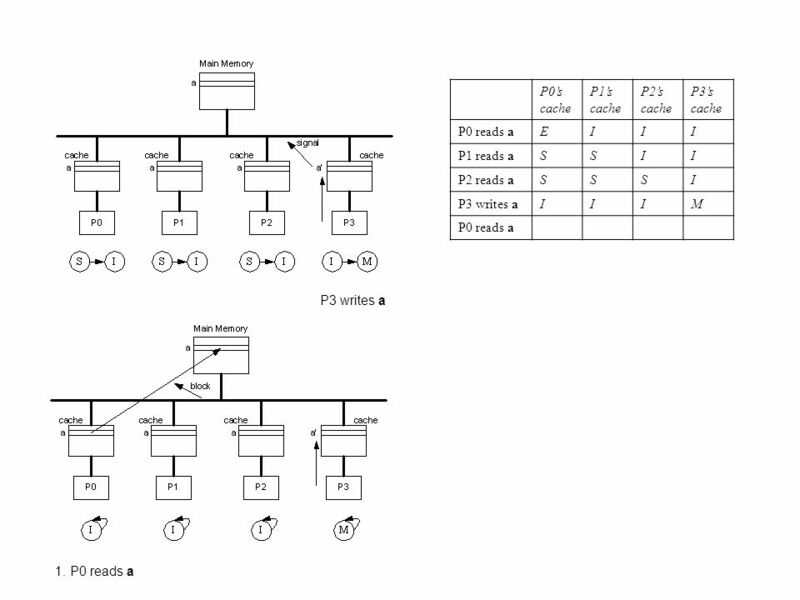 Technical University of Lodz Department of Microelectronics and Computer Science Elements of high performance microprocessor architecture Shared-memory. 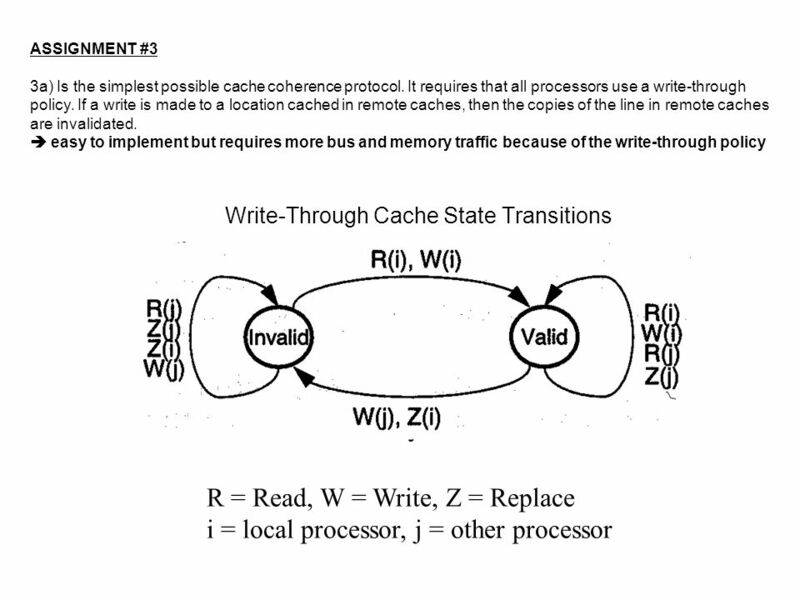 Cache Coherence. 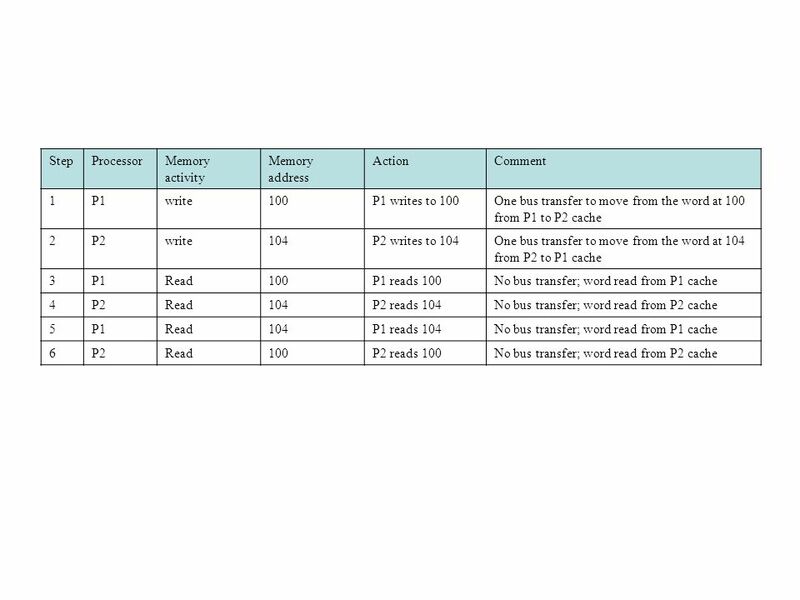 CSE 4711 Cache Coherence Recall the memory wall –In multiprocessors the wall might even be higher! 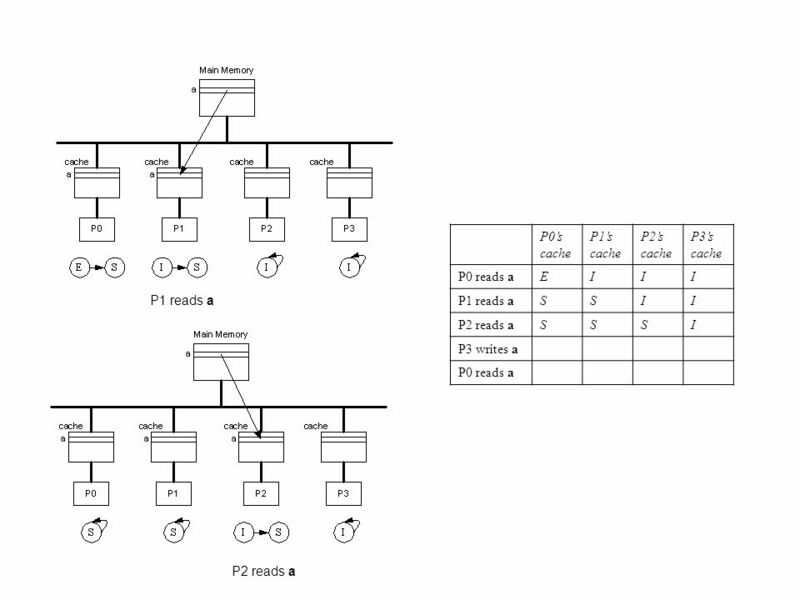 –Contention on shared-bus –Time to. 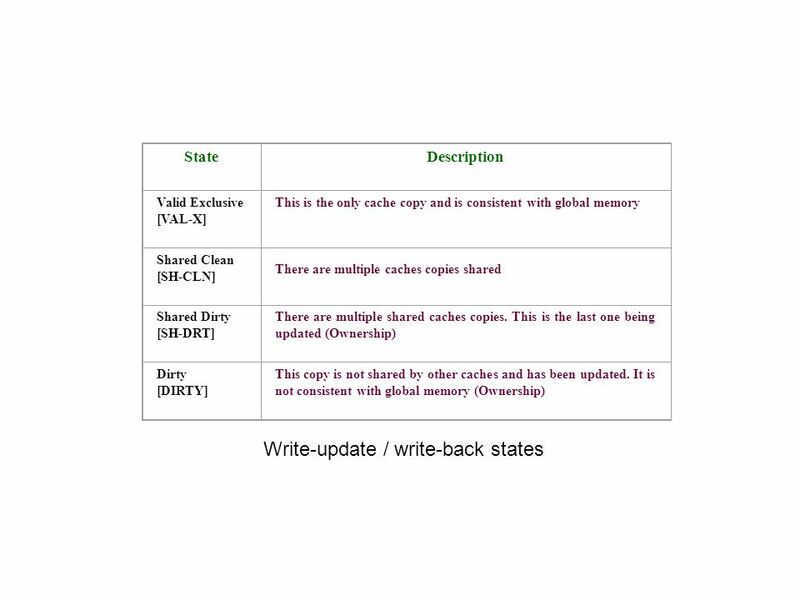 CIS629 Coherence 1 Cache Coherence: Snooping Protocol, Directory Protocol Some of these slides courtesty of David Patterson and David Culler. 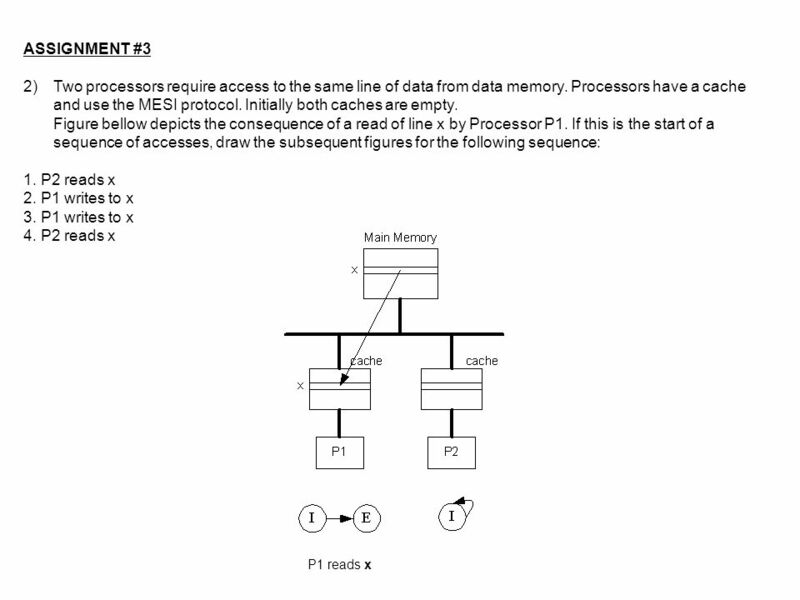 CS252/Patterson Lec /23/01 CS213 Parallel Processing Architecture Lecture 7: Multiprocessor Cache Coherency Problem. 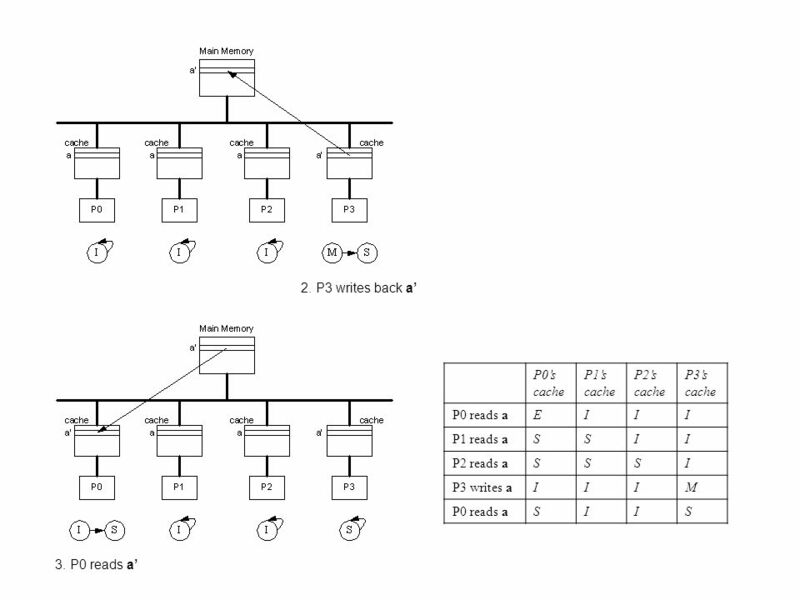 1 Lecture 2: Snooping and Directory Protocols Topics: Snooping wrap-up and directory implementations. 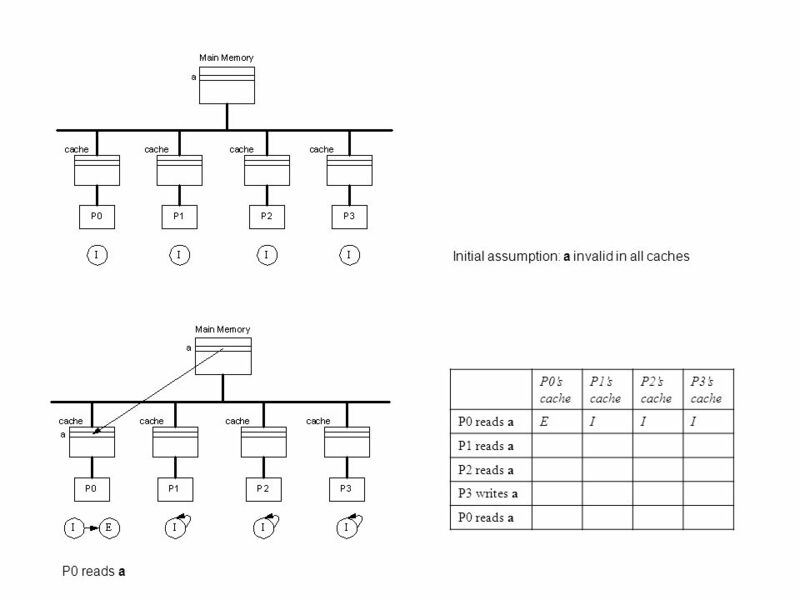 1 Lecture 3: Snooping Protocols Topics: snooping-based cache coherence implementations. 1 COMP 206: Computer Architecture and Implementation Montek Singh Mon, Nov 14, 2005 Topic: Cache Coherence. 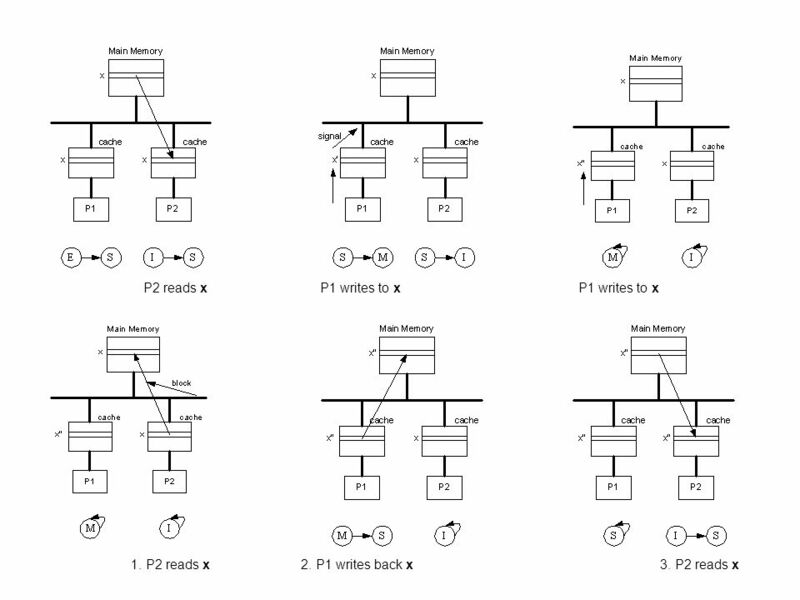 Snoopy Coherence Protocols Small-scale multiprocessors.